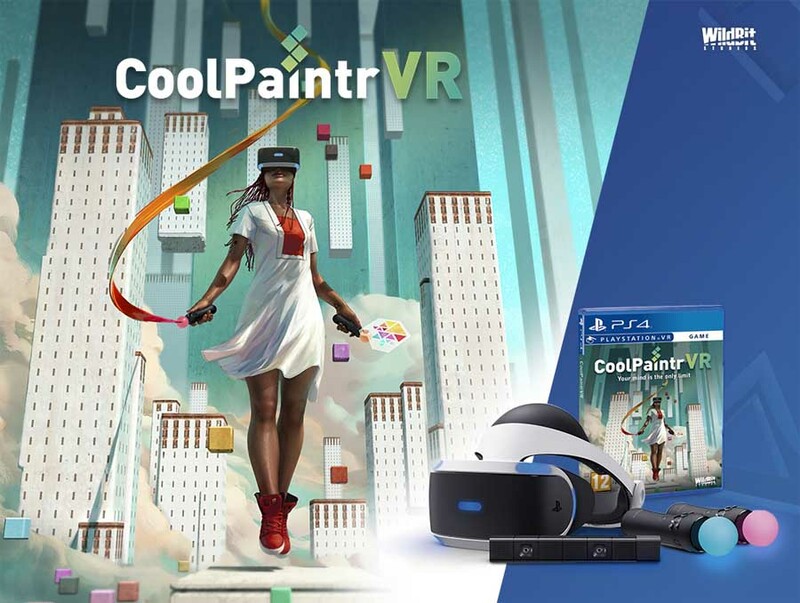 As In 2016 Google introduced us to its painting service Tilt Brush which supports Oculus Rift and HTC Vive, now Playstation VR owners come with a new painting feature in PlayStation with the name CoolPaintrVR. As the time of 2017 people only think about playing games on PlayStation but by this announcement, there is a new genre is opened for Playstation. CoolPaintrVR is created by WildBit Studios which represent Spain in VR technology. They made a statement that it will help lots of professional workers and people who are finding some fun through VR painting. VR painting is whole new feeling for fun so it gaining popularity very fast that's why PSVR think about introducing about a VR paint service so people can enjoy VR painting on their Play station. For work on CoolPaintrVR, it provides you with a number of colours to choose but it misses some as regarding Google Tilt Brush. CoolPaintr looks very similar to Tilt Brush, looking to make up for the app’s absence on the platform. It allows you to make virtual, 3D paint using a motion controller. All you have to do is choose the colour and start painting your work or fiction. Its cool as Google Tilt Brush but it doesn't provide infinite zoom as Tilt Brush. According to UploadVR CoolPaintr VR For PlayStation Arriving Very Soon. It will be interesting to see how CoolPaintr on PSVR. We’d certainly welcome a good creation app on the platform.